Why Use Trash Can Willys For Your Furniture Removal? No stress service - you can always count on us to do exactly what we say we are going to do, when we say we will, and for what price we say - something that isn't found often enough now a days in a service business! Furniture Removal? We make it easy as 1, 2, 3! Make an appointment convenient to your schedule allowing us a 2 hour window to arrive. During that two hour window we will call you when we are 20 minutes out. On the day of removal we show up and you show us the old furniture or junk you want removed. We quickly calculate the best price you will find in New England and guarantee it. If you agree to our amazing price 🙂 we then get busy and do all the work quickly loading up your unwanted items from where they sit, all you need to do is point. 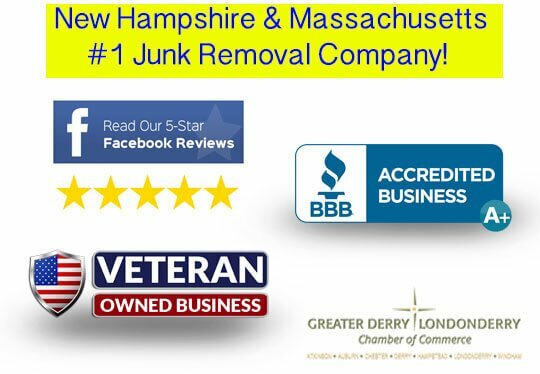 No job is too large or small for Willy's boys thats for sure, from a little old lady around the corner with a massive tube tv to dispose of to the whole house in Boston or the Lakes region of New Hampshire that needs to be completely cleaned out, we can handle the job! Just one call gets rid of it all! More than 8+ years and the business and 15,000 satisfied customers your business and belongings are in good hands! 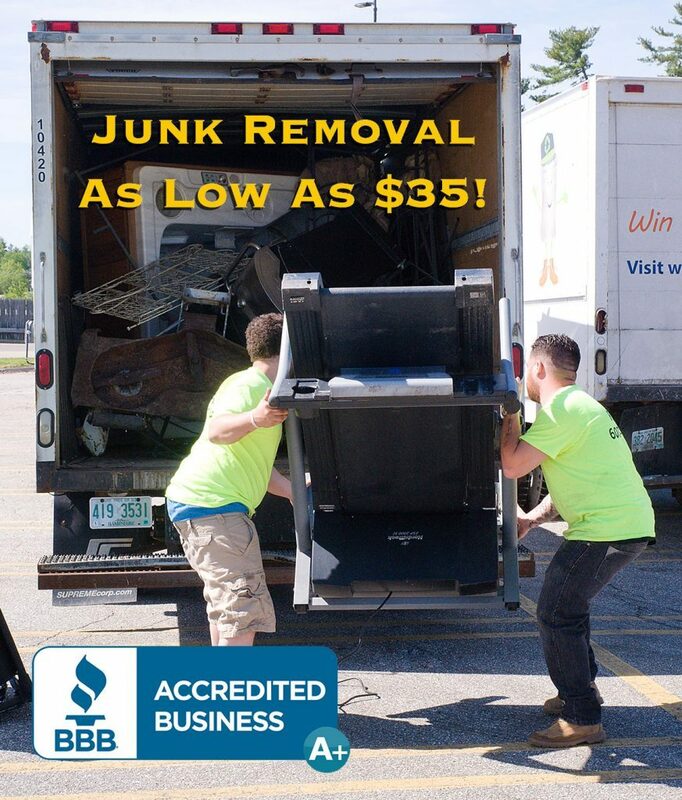 An A+ Rated company with the Better Business Bureau! We even buy your junk sometimes! We accept all major credit and debit cards for your convienience. Fast Service, Whether your old furniture needs to be disposed of or can be donated, we can typically provide you with furniture removal service within 36 hours of your first call! We carry the highest levels of insurance to protect our employees and your property, we are covered so you are covered. Peace of mind means a lot. One slip and fall and a "fly by night" company could be handing you a lawsuit because they were "hurt" on your property.